This is a picture of my son making huge bubbles out of soap using nothing but his hands. I thought it was ingenious and I ran to get the camera. He blew these humongous soap bubbles while he was in the shower. I was really impressed. This layout made me feel like there’s an explosion of color. Its as if that bubble burst and color just gushed onto the page. What I realized with my artwork lately is that I like to transport myself and others into the layout and make it come to life. I don’t know if that makes sense but that’s how my layouts have been designed lately. I used these amazing Prima wooden doors. I loved them from the first time I saw them but I couldn’t find the right layout to use them for. I also used 2 Crafty chipboard. The large filmstrip was a leftover piece from another layout and the mini ones are from 2 Crafty’s new collection. I simply sprayed the filmstrips in black ink. I love, love, love these light bulb trinkets from Prima. I chose the word create because that’s exactly what my son was doing while creating this enormous bubble with his own hands. Finally I want to talk about all the mixed media mediums I used. First I stuck some black masking tape on the page. Then I spread crackle paste on the whole area. With my finger, I spread glass bead medium (my new fave). After that I sprayed 3 different inks at the corner edge and let them drip. Finally I randomly added some glossy accent gel and threw micro-beads on it. 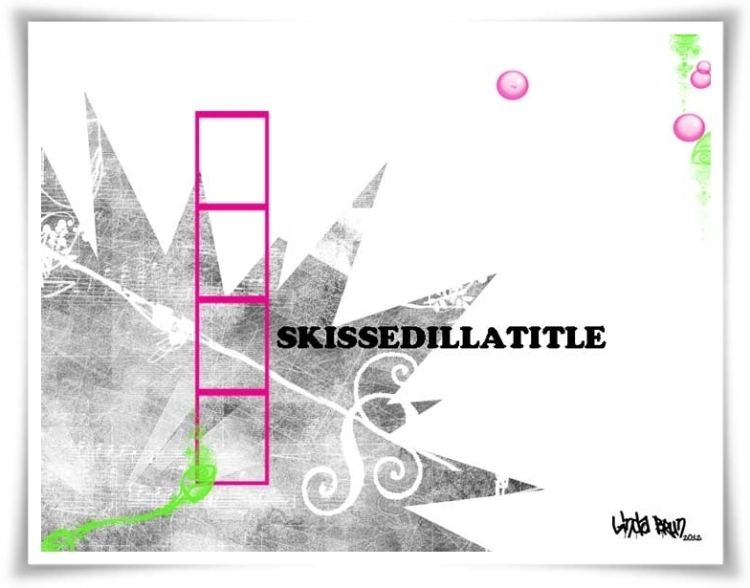 Here is the Skissedilla layout that Inspired me!! 2 Crafty Reveal Part 2 and a Farewell!! Keren, you are very talented and your layouts are amazing. Thanks for your comment on my blog – I have been your follower for some time! Wowwwwwwwwwwwwwwww!!! This is GORGEOUS!! I love love love love love that photo, the film strips and loveeeeeeeeeeeee the splattered background!!! VERY COOL!!!! Such a colorful layout, love it. Powerful and artsy! Your background is just out.of.this.world, Keren…fabulous colour combo too! I love the direction your scrapping is taking, you really put so much though and creativity into your layouts.. this looks amazing!! and how clever your son is to make such huge bubbles!! Wow! This is so cool looking! Stunning and a arty page love it! A really artsy and creative layout. Love the beads. Thank you for playing with us at skissedilla! HOLY SMOKES Keren.. That background is INCREDIBLE!!! FAN FAB U LAS layout! Very nice "explosion of color". This layout is different from the delicate images you've made recently, yet every bit as inviting. You are very creative Keren! Way cool! I love the effect you got from this and it looks like his bubble has burst! It looks awesome! Wow! Love that artsy background! It's visually arresting!